SEPURAN® stands for customized hollow fiber membranes for efficient gas separation. Biogas upgrading, nitrogen generation, and helium recovery are just three of the many applications for SEPURAN® products. More polymers for even more applications are currently being developed. The SEPURAN product family includes various membrane systems for gas separation for different applications. Each product is tailored exactly to the specific application. SEPURAN Green, for example, is ideally suited for biogas upgrading because of its high CO2 / CH4 selectivity. SEPURAN N2, on the other hand, was developed especially to recover nitrogen. Although the areas of application for SEPURAN products differ considerably, the products all have one thing in common: they are the most important part of the upgrading system, no matter whether it is for biogas, air, or technical gases. With their high selectivity and capacity, they are effective in making the upgrading process as efficient and economical as possible. This is not only a result of the very low energy consumption. No other auxiliary materials, such as water or chemicals, are needed. Consequently, SEPURAN helps conserve resources and protect the environment. SEPURAN Green was a worthy winner of the 2014 German Innovation Prize for Climate and the Environment (IKU), which is awarded by the German Federal Ministry for the Environment. We produce high performance membranes and market them as modules and cartridges. We are not a plant construction company ourselves, but we work closely together with plant and machinery installation companies and engineering partners to find the best possible system solution for you. Gas separation membranes work according to the principle of selective permeation through the membrane surface. The permeation rate of each gas depends on its solubility in the membrane material and on the diffusion rate of the gas. Gases with high solubility and small molecules pass through the membrane very quickly. Less soluble gases with larger molecules take more time to permeate the membrane. In addition, different membrane materials separate differently. The driving force needed to separate gases is achieved by means of a partial pressure gradient. 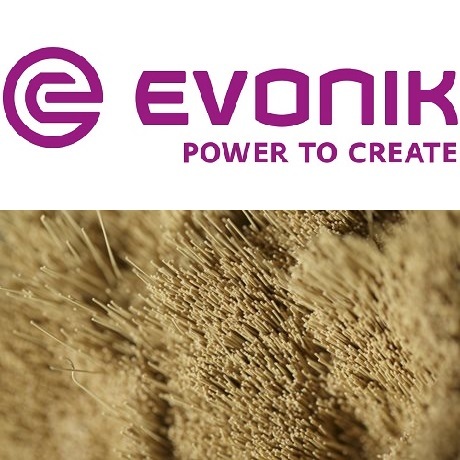 Click here for more information on the website of Evonik.